Practice in style with the flagship of the Dr. Beat Metronome line. 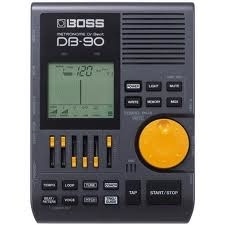 The new DB-90 is loaded with quality sounds and drum patterns to make your practice sessions less mundane and more musical. There’s a Rhythm Coach function with an onboard mic, a reference-tone function for tuning, an Instrument input, MIDI input, and other handy tools to make learning fun and effective.